Capital is an important element to every project as it is defined as one of the triple constraint – limiting factors of a set of tasks that must have a start and finish. Every project honours this rule including technology-driven ideation, expansion, and improvisation. In fact, the amount of money required to bring an idea to fruition should be planned with a mindset of repeated tasks in the case of experimental projects. For engineering system development, there will be minimal deviations once the project planning is done holistically. In many technical ventures, the capital turnaround time is (and usually targeted for) five (5) years which I can assume as the upper limit of medium term credit tenor. Engineers live in societies and dream big to solve (and improve) situation in our various communities. They conceive ideas, analyze problems, and innovate solutions but lack the capital to breathe life into it. A few technical persons have also mastered the act of engineering management, economics, and law. Still the Nigerian society do not take our Engineers seriously, there are an unwritten, unspoken, but uncanny apathy towards Nigerian tech entrepreneurs. In my three years on building a business, it has remained challenging to pitch ideas to an investment panel because many do not fund engineering ventures which takes longer incubation period. A typical investor is looking for short term gains similar to speculative stock trading. I have had to debate that capital is to most important factor of production. Of what need is an motive, man, machine, and material whereas no money to set these rolling. It is quite frustrating to read value Government blueprints on deepening our investment in technical skills and entrepreneurship but yet do not support technical ventures that should drive the real sector. Nigeria has plenty good development policies which reside on paper but we do nothing about building infrastructural and industrial base for our economy to thrive. For a country that have about fifty thousand (50,000) registered Engineers. We must encourage them to take the mantle of developing our countries technology. The public and private sectors of the economy must begin to look inwards and activate the innate qualities residing amongst us. As a policy trust, the technology hubs that government plans to build across the country must be sufficiently funding to ensure that product development, testing, and deployment is continuous. 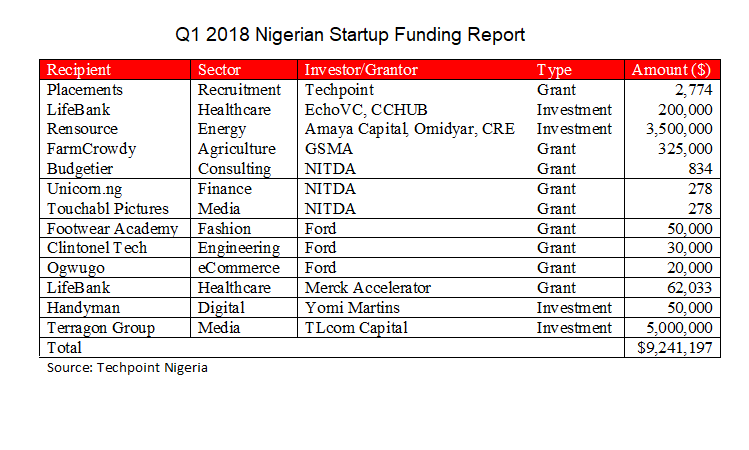 Central Bank of Nigeria must issue licence for a fourth category – Technology Banks – which should herald the growth of our Engineering entrepreneurs. The time for action is now if we want to achieve the United Nations Sustainable Development Goal number 8 – Infrastructure, Industry, and Innovation – by target date of 2030.